Is it a fruit? Is it a vegetable? Who cares, it's delicious! The great tomato debate has kept us intrigued since we first realized this fruit was sitting on the veggie side of the stands. But while you may say tomato and others say tamato, there are too many tasty types of tomatoes to call the whole thing off. The Nahuati (Aztec language) word "tomati" was given to the tomato plant, which originated in Central and South America, giving rise to the Spanish word "tomate" -- which the English word "tomato" is derived from. 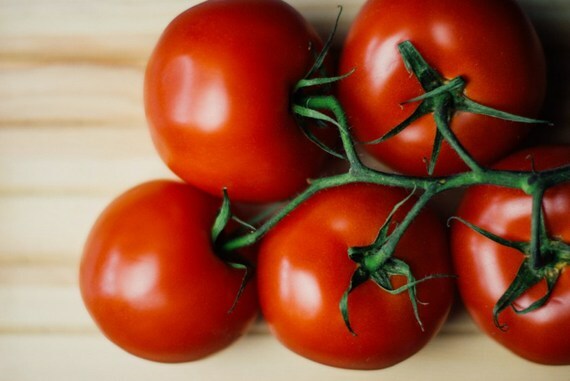 A member of the nightshade family, tomatoes were originally thought to be poisonous by Europeans. Its use as a food began in Mexico and was spread throughout the world following the Spanish colonization of the Americas. Native versions of tomatoes used for cooking by Aztecs and Mesoamerican people were small, like cherry tomatoes and most likely yellow rather than red. A cherry tomato is rounded and ranges from the size of a thumb tip to a golf ball. Roma tomatoes, also known as plum tomatoes, are larger, slender and firm and typically used for canning or making tomato paste. Heirloom tomatoes are the biggest of the bunch because they are open-pollinated or "true-breed" --meaning they reproduce from their own seeds so each is as plump and beautifully red as the tomato that came before. Those are just a few of the many tomato varieties making their way onto our plates. But no matter how you like them -- sliced, diced, mashed or whole -- here are 11 ways you'll love eating them. 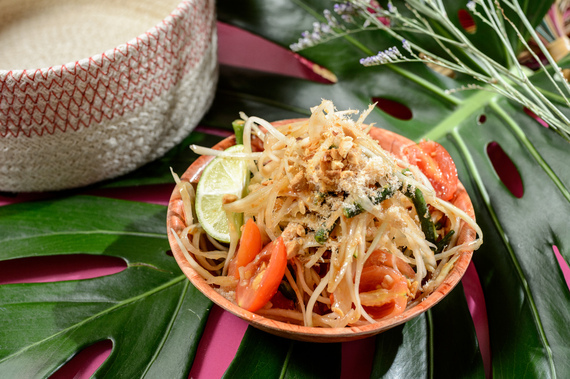 Proving they play well with others, The Lucky Bee in NYC tosses tomatoes together with toasted peanuts, snake beans, tamarind and lime in its Thai-inspired Green Papaya Salad. 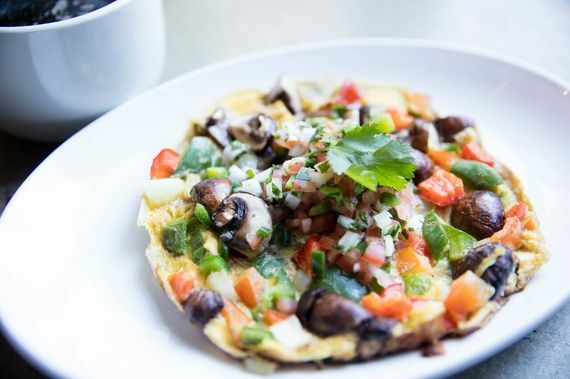 Loaded with seasonal vegetables, ripe and ready for eating, the Seasonal Vegetable Frittata at The Rookery in Chicago makes breakfast even better with a healthy serving of tomatoes, peppers, mushrooms and more. 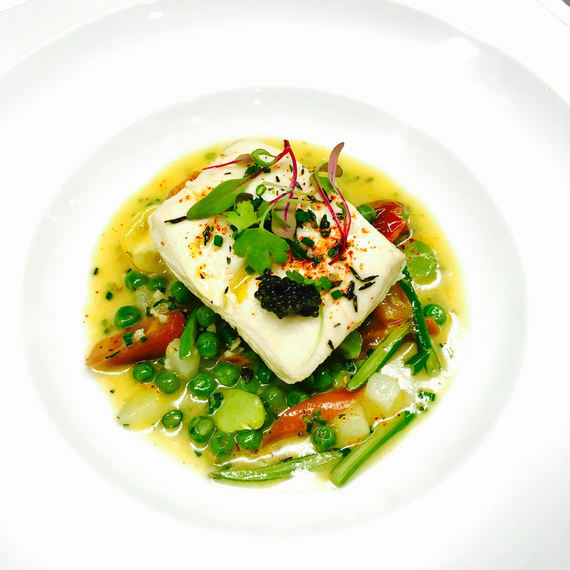 Beautifully plated with bright summer colors, the Poached Halibut à la Nage at Townsend in Philly is served with English peas, fava beans, paddlefish caviar, heirloom carrots and tasty cherry tomatoes. Photo provided by Brass Union. 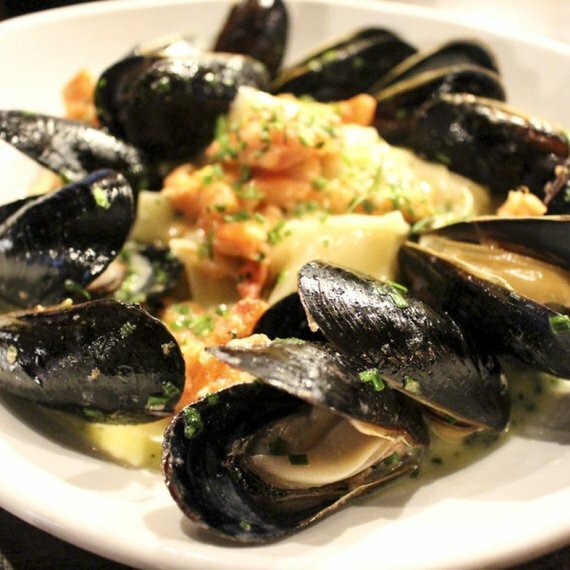 Featuring delicious bistro fare in a chic, tavern-like space, Brass Union in Boston makes its Mussels & Linguine dish with spring garlic and cream even more savory with roasted tomatoes mixed in. 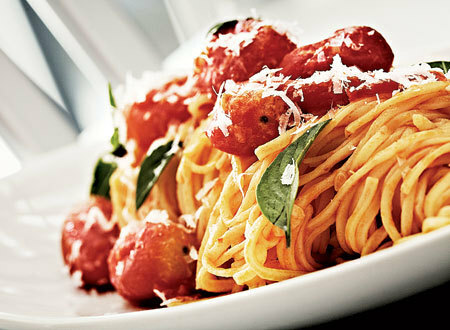 With inventive small plates inspired by Jersey-Italian cuisine, Graffiato in Washington D.C. does spaghetti right with poached cherry tomatoes, olive oil, basil and Parmigiano Reggiano. 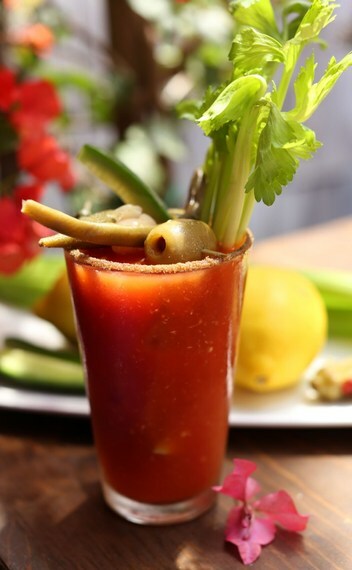 The Little Door in LA serves up a mean Bloody Mary, a morning drink classic with a bracing dose of tomato juice and other vegetables to get you going. 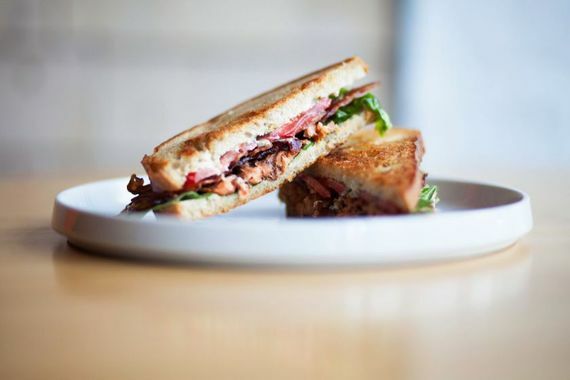 The "T" may come last in the name BLT but the tomato certainly holds its own in The Smoked Trout BLT at Sink Swim in Chicago, combing smoky fish, crunchy bacon, tartar sauce and that fresh flavor of sliced tomato. Photo provided by Osteria Stellina. 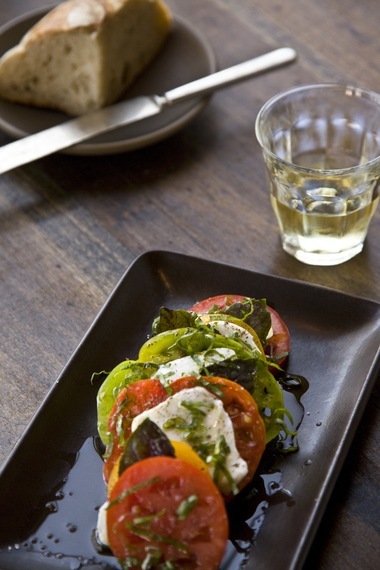 It's hard to beat Italian cuisine when it comes to fresh bread, ripe tomatoes and cheese, which is why the appetizers, entrees and especially its pizza with slow roasted Roma tomatoes, fontina, mozzarella, basil and crushed chilies are oh-so-tasty at Italian gem Osteria Stellina in SF. 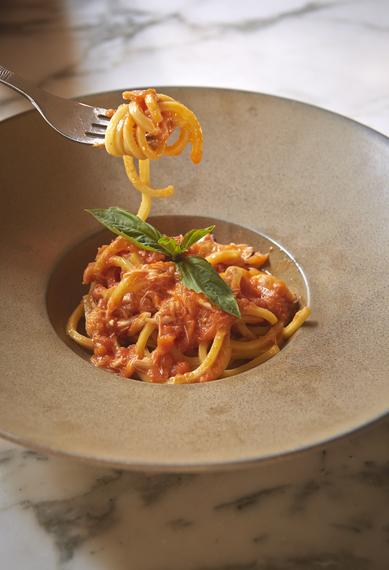 Sbraga, a modern American favorite in Philadelphia, delights with its famed Saffron Spaghetti -- made with fresh king crab, Calabrian chili and rich tomato butter. 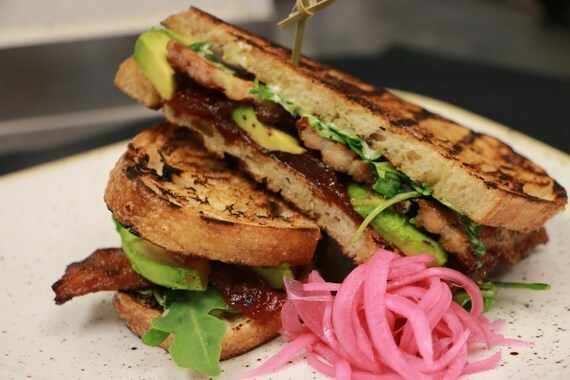 Another twist on the BLT classic is the BLT & A Sandwich at Post 390 in Boston, where layers of grilled Sriracha pork belly, arugula and avocado come together between fresh sourdough slices smeared with tomato jam. 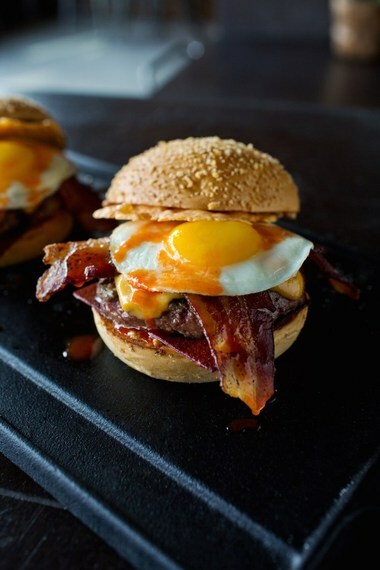 The Chef's Favorite Burger at Plan Check Kitchen + Bar is made with bacon two ways, cheese two ways, a sunny fried egg, hot sauce and ketchup leather -- a creative take on the favorite tomato-based condiment.